"JROTC Bills Stall in Sacramento; Dirty Tricks in San Francisco"
in response to my report on his comments before the school board's Rules Committee. Below please find Major Paratore's letter and my response. The California Department of Education several month ago provided to Long Beach Unified School District a memo stating that the School Board can award PE credits to students in JROTC, marching band and those other classes as the district approves. Based on this LBUSD has reinstated PE credit for both JROTC and marching band. As to the real cost of JROTC, based on the information given out at the Budget Committee meeting, this is how I see it. When the School Board eliminated the PE credit last year, they created a need for additional PE teachers. Over the summer the schools, with JROTC programs, hired 7 PE teachers which the District centrally funded. Using the information provided at the Budget committee meeting a rough estimate of this cost for the 7 PE teachers is $824k. Yesterday, the District stated that the JROTC program, with 12 teachers, would cost roughly $880k to reinstate, and if not reinstated then $233k will be needed to provide the necessary additional classes to absorb the 500 or so remaining JROTC student. 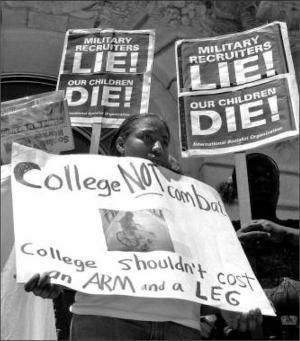 Should the JROTC program be reinstated it will return as an alternative means for students to get PE credit, which according to the State Department of Education is acceptable. This action would eliminate the need for the 7 PE teachers and associated cost. Additionally, this would eliminate the $233k needed to absorb the students into other classes. Reinstate JROTC (12 teachers) + $880k, eliminate the need for the 7 PE teachers -$824, eliminate the need for accommodating 500 displaced JROTC students -$233k. Save $150k and get 5 additional teachers. I saw your letter addressed to me in the Friday, April 24 Beyond Chron. The opinion that Marcela Obregon Enriquez expresses in her email message concerning Physical Education (PE) credit, to which you refer, does not represent the position of the California Department of Education. The position of the department has been clearly stated by State Superintendent of Public Instruction Jack O'Connell: "JROTC programs do not fulfill California Education Code requirements for physical education." Ms. Enriquez does not have the authority to overrule the Superintendent, who is her boss. In any event, her qualifications to rule on state law in this matter are nowhere in evidence. Mary Salas (D-San Diego), Fiona Ma (D-San Francisco) and Michael Duvall (R-Yorba Linda) to introduce AB 351, which seeks to create legal authority for the granting of PE credit for JROTC. This bill has not yet been voted on by either the Assembly or the Senate, and is a long way from from becoming law, if it ever does. 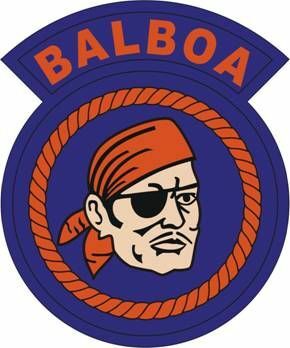 As a Balboa High School JROTC instructor, it is easy for you to cavalierly claim that the school board has the authority to grant PE credit for JROTC, but our school board members have a responsibility to our students and to the taxpayers that can not be taken so lightly -- particularly given the likelihood of a suit by so prestigious a law firm as Public Advocates. Public Advocates has affirmed that Ms. Enriquez opinion is incorrect. 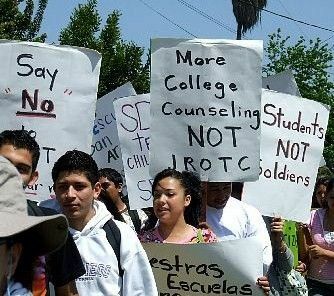 Your comments about the cost of JROTC are also highly dubious. Your claim that the cost to the district for seven PE teachers is $824,000 is preposterous, and nowhere supported by the report you cite. Your figure works out to nearly $118,000 per teacher. Our teachers don't get anything near that amount. In any event, the district generally employs one PE instructor for every 300 students -- while the Pentagon requires that the district employ two JROTC instructors for every 150 cadets. That is four times as many employees. In addition, the salaries of JROTC instructors are considerably more than the salaries of other teachers, as mandated by the military. JROTC is far more expensive than any other program in our schools, regardless of the merits or demerits of the program. The truth is that a fully-staffed JROTC program costs the district approximately one million dollars per year. If you don't believe me, please see the memo issued by the school district last July. I think, as do many others, that we can find better ways to spend our money.